Winter Book Bingo is open to everyone high school-aged or older. Pick up your bingo sheet and instructions at the Reference Desk on the second floor. BINGO goes from February 13, 2017 through April 10. 2017. Fill in your bingo card to enter a raffle for a $25.00 gift card to the Blue Angus in Dracut. 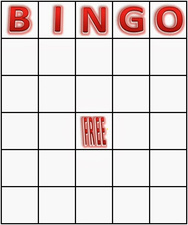 Bingo sheets can be submitted at the Reference Desk on the second floor. Turn them in even if you've only completed one or two rows - you might win! Please contact the reference staff for book suggestions or with any questions you might have, at 978-454-5474, extension 303.